Measurement and quantitative methods are relevant to many professional fields. Measurement (often called psychometrics) is mostly concerned with statistical approaches to evaluating assessments. Private sector jobs in measurement often are found in the testing industry, where pyschometricians analyze responses to test to ensure that test scores are accurate and fair representations achievement or development. Similar positions can also be found in state and local government, developing and evaluating assessments used in K12 education. Measurement and quantitative methods can also be used in other settings where research questions are to be explored through the application of advanced modeling techniques (HLM, SEM, Factor Analysis, IRT). Methodologists can use their skills in quantitative methods to answer varied social science, policy, and evaluation questions. Below is a list of ERM faculty teaching core courses in measurement & quantitative methods. Click on their name, to learn more about them and their research interest. Professor Chalhoub-Deville is widely recognized for contributions to the field of language testing and assessment. Learn more about Professor Chalhoub-Deville from her bio page. 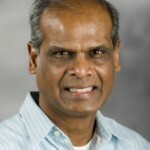 Dr. Henson’s primary focus of research is diagnostic classification models (also known as cognitive diagnosis models). Learn more about Dr. Henson from his bio page. 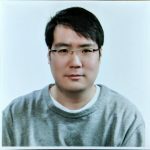 Dr. Kim’s primary focus of research is linking for multidimensional item response theory models. Learn more about Dr. Kim from his bio page. 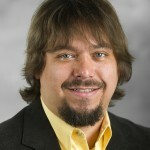 Dr. Luecht has designed numerous algorithms and software programs for automated test assembly and devised a computerized adaptive multistage testing framework used by a number of large-scale testing programs. Learn more about Dr. Luecht from his bio page. Dr. Sunnassee currently teaches several graduate level courses related to the methods and application of statistics and survey methodology in the field of educational research. Learn more about Dr. Sunnassee from his bio page. Dr. John Willse’s current research involves several approaches to latent trait modeling (e.g., structural equation modeling, item response theory, diagnostic classification, and mixture measurement models). 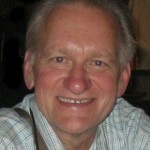 Learn more about Dr. Willse from his bio page.